Great week this week (hooray!) Monday was all about the books! I went to the Fantasy Faction Grim Gathering in Bath which turned out to be a blast, big up to Marc at Fantasy Faction for putting on a great event. On the panel was Peter V. Brett, Mark Lawrence, Joe Abercrombie, Peter Newman, and Anna Stephens. A pretty epic line up I have to say. Having just read and reviewed both Anna and Mark’s releases I was keen to get them signed and say Hi to them both. The panel discussion was great, lots of talk around, what is grimdark, are their books actually grimdark and what does hope contribute to these books. It was a really interesting discussion and the authors were charismatic and funny. It was also interesting to see the breadth of answers between authors, especially around planning where some plan meticulously where others wing it and just write and see where the writing takes them. Something quite random did happen, I got myself seated for the panel discussion, and someone came along and asked if they could get into the seat next to me. He got seated and started chatting with the guy on the other side and I thought to myself “he looks familiar” and I heard him mention his publisher to the guy he was talking to. So my head is spinning, thinking he can’t be who I think he looks like surely? Once the panel had finished I started talking to him and shock he was Ed McDonald and the guy he was talking to was sci-fi author Tom Toner. 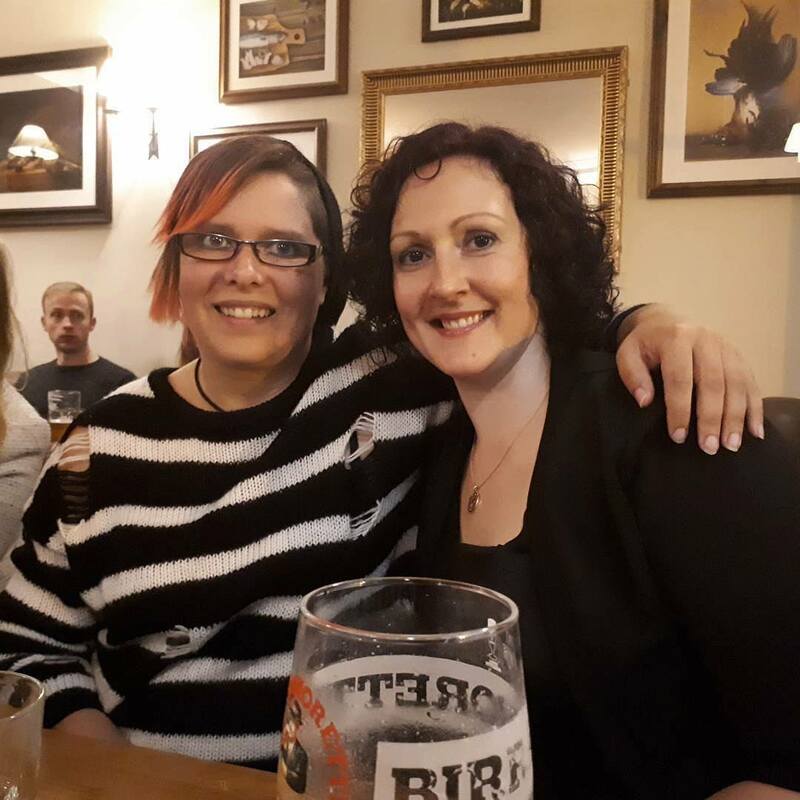 We all ended up around the corner in a local pub and I had a great night chatting with everyone, there were some absolutely hilarious moments and lots of book talk. I got to meet seven authors, and hung out with four of them properly over drinks so an absolutely great night. On Friday, I joined a few friends at a rock and metal club night. I used to go to this every Friday night back when I was a wee whipper snapper. This is the first time I’ve been out to a club since I stopped drinking so it was an interesting test of the sobriety. Turns out I had a fantastic time, lots of dancing, laughing, singing and drinking far too much lemonade. I was on quite the sugar high when I got home! I think the plan is for us to go to the next one they run just before Halloween which should be good, I might even dress up! This month’s winner is a no-brainer, I reviewed it this week but my love of the lead character and the fact I’ve been chomping at the bit to read it for almost a full year meant that it was almost guaranteed a slot in book of the month short of it being a complete flop! 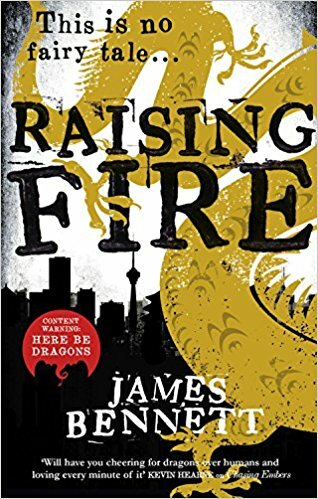 Raising Fire by James Bennett was actually better than I expected, completely propelling the main character on from the first book and taking the story onto a new level. An absolutely fantastic read! I’ve actually been reasonably well behaved this week…patting myself on the back! This week started with a review of The Sullivans Box Set by Bella Andre. I then reviewed Raising Fire by James Bennett, Thousands of Candles by Tani Hanes, Wicked Grind by J. Kenner, and The Christmas Holiday by Maxine Morrey. I had Lacuna Coil featured on Music Monday this week. I featured an excerpt of By Blood Sworn by Janice Jones. I did a review of Paperless Post this week as something a bit different. Jackie from Never Imitate Blog joined me for The Bookshelf this week.